"This is the sort of horse that Sheikh Fahad and his brothers want to own - they want to participate at the highest level and have had a taste of it this year with Roaring Lion. He is out of an exceptional mare and by an exception stallion. 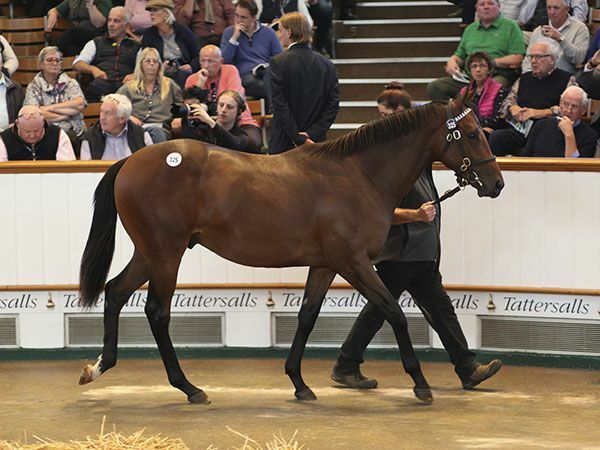 It is very hard to put a value on a horse such as this – you can see lovely horses selling for good sums and they still are not the best. "We are looking to make commercial stallions - let's hope that he goes out and lives up to all the potential that he has." "We are very lucky to have Dar Re Mi who is breeding horses who are out together with such perfection. This horse is very similar to Too Darn Hot, a little more mature if anything. "I have to thank everyone at home," said Damien Burns of Lodge Park. "There is a lot of work involved and there are many don't come to the sales. This colt was prepped by my brother Jamie." "The mare did not have a foal this year," reported Burns. "She is in-foal to Dark Angel, which is a slightly differing approach but if you strip the pedigree back Alluring Park is a daughter of Green Desert and is out of Park Express - a champion two-year-old and by Ahonoora." "I have to be daring once in my life" smiled Patricia Thompson of Cheveley Park Stud after the purchase. "We just loved everything about her." Chris Richardson, the stud's manager, added: "There are not many opportunities to buy Galileo fillies and he is such a phenomenal sire. 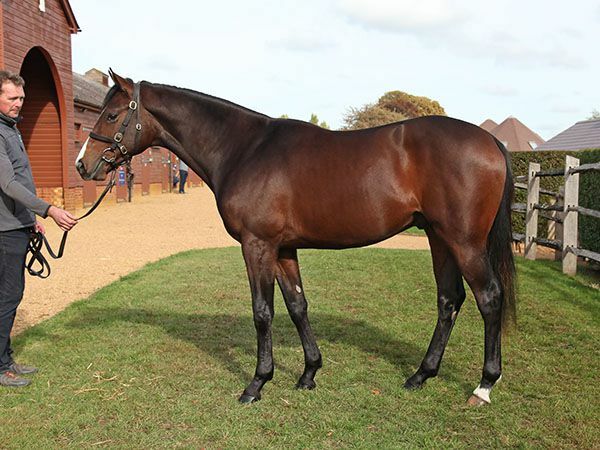 This is such a strong pedigree, we are delighted to have bought her." The full-sister to the Group 1 St Leger winner KEW GARDENS was knocked down to Coolmore Stud’s MV Magnier for 1,200,000 guineas. Consigned by David and Diane Nagle’s Barronstown Stud, the filly is by GALILEO out of the Group 1 winning DESERT KING mare CHELSEA ROSE. KEW GARDENS finished seventh in the Group 1 Prix de l'Arc de Triomphe at the weekend and has an entry in the Group 2 Qipco British Champions Long Distance Cup. 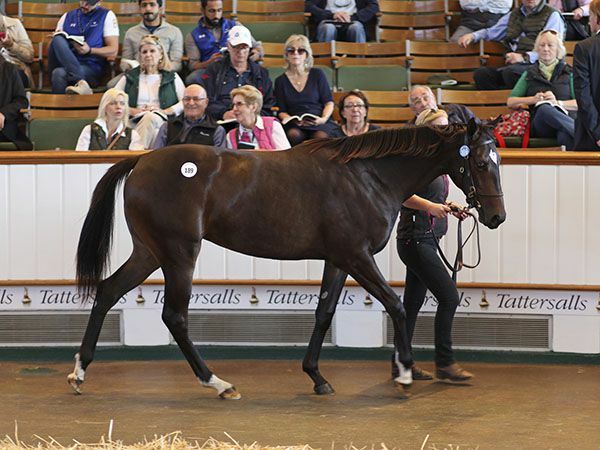 GALILEO fillies continued to dominate at Book 1 of the Tattersalls October Yearling Sale with Horse France’s Robert Nataf securing the daughter of BROOKLYN’S STORM for 1,000,000 guineas. The STORM CAT mare is the dam of the Group 3 Prix de Royaumont winner POLLARA and the Listed winner STORMINA, herself the dam of the dual Group 1 winner and champion two-year-old, SILASOL. "She will be trained in France," said Nataf. "My client was wanting a racing and then a broodmare prospect - this is a huge pedigree and this filly has a lot of residual value." BROOKLYN’S STORM is a half-sister to Group 1 Prix de l’Arc de Triomphe winner SOLEMIA, as well as Group winners PROSPECT WELLS and PROSPECT PARK with her pedigree also including the Group 1 Sussex Stakes winner THE GURKHA. 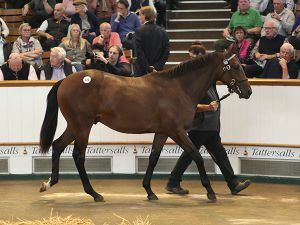 The team from Longview Stud were celebrating following a stunning pinhook success with the sale of their SEA THE STARS colt out of CHICAGO DANCER who was purchased by Stroud Coleman Bloodstock for 1,000,000 guineas. 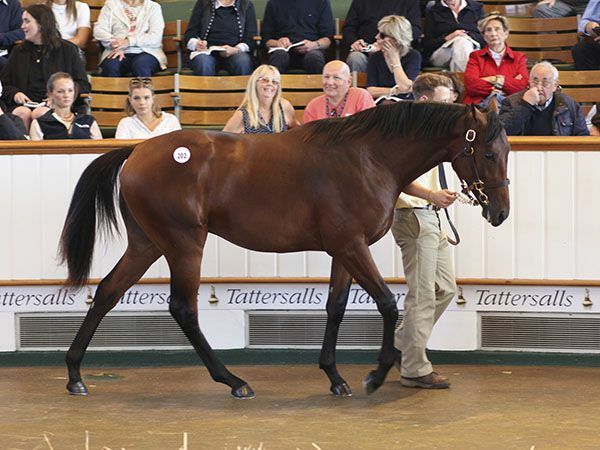 The colt was purchased by Gerry Dilger’s Dromoland Farm on behalf of his owners for 330,000 Euros as a foal. Diego Romeo, the manager of Longview Stud, said: "It was a pricey pinhook, but he is a gorgeous colt and we've loved him from the beginning. "Everything has gone to plan with him and he is very straightforward. Sea The Stars is a fantastic sire - we are very happy."